Flushing the loo is something we do everyday without really thinking about it! Anglian Water want to change that! Do you know where Goldie the goldfish goes when you flush him?? He goes into the sewer! 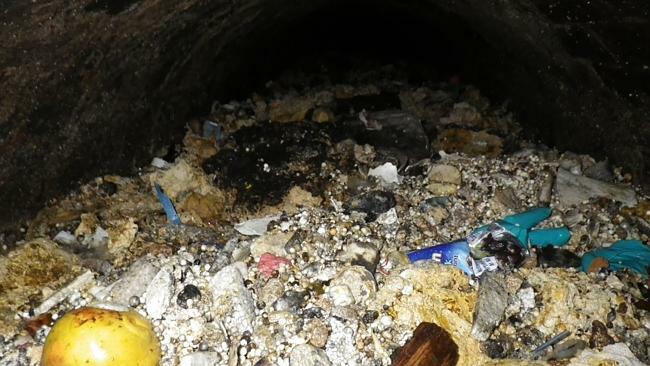 Sewers are very important and what Anglian Water want to highlight is that they are in trouble. The reason they are in a state is because of us! So many people flush things down the loo and pour things down the drain that are just not meant to go down there! And what does that mean for us? Well the sewers get blocked up and everything down there tries to escape, finding it’s way back into your homes and bursting pipes onto the streets. It is up to us to make a change and it is up to Anglian Water to raise awareness! 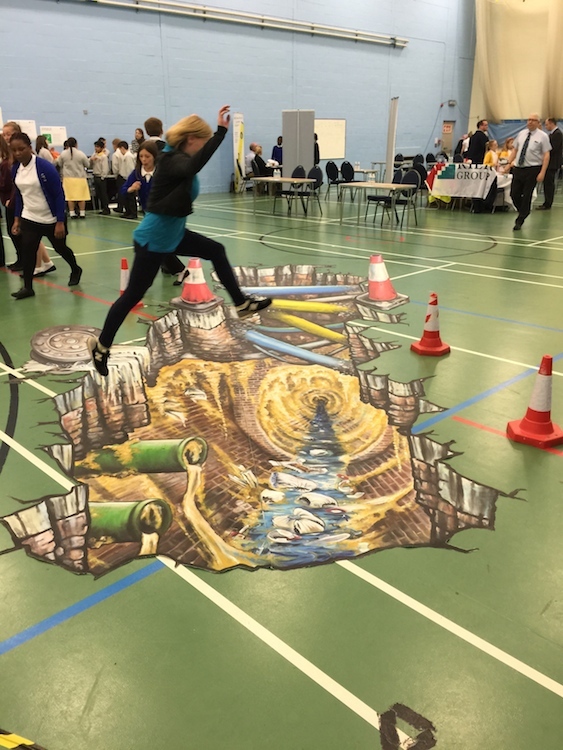 What better way to do this than with 3D Street Art! We created a hole in the ground that shows everyone what the sewers under our feet are looking like these days. Out of sight out of mind is a big problem and this piece of experiential street art shows us what we'd rather not see! It raises awareness and provides a great talking point! We spent a whole day teaching school kids from all over Bedford about what happens when they flush things they shouldn’t. Everyone learnt something new and had fun whilst doing it! 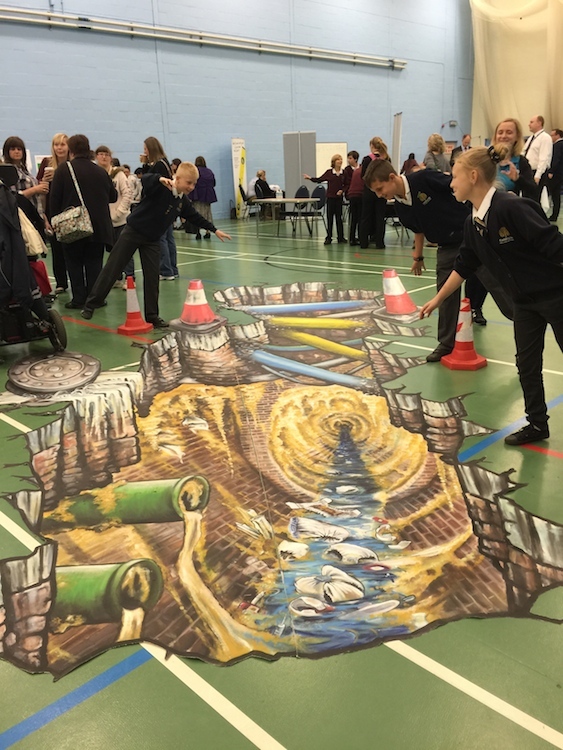 A wonderfully educational and eye opening day provided by Anglian Water and Street Advertising Services. Are you interested in creating a talking point for your event? Get in touch and let's have a chat about what we can do for you and your brand! 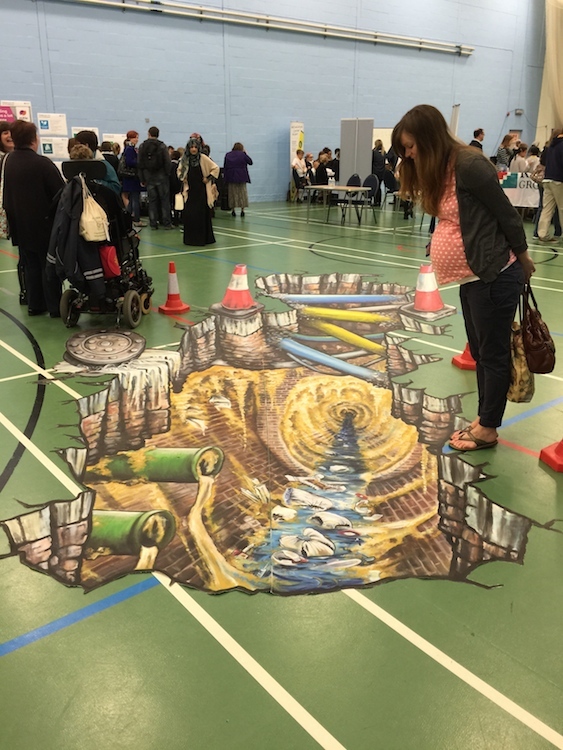 Interested in 3D Street Art!? Who isn't? Check it out here!